Oklahoma Connection | McLain came to Oklahoma in 1907 as a clerk in a real estate office. Raymond McLain was the first National Guard officer inducted into the Fort Leavenworth Hall of Fame, the first citizen-soldier promoted to lieutenant general and, in World War II, became only the second citizen-soldier in U.S. military history to command an Army corps in battle. 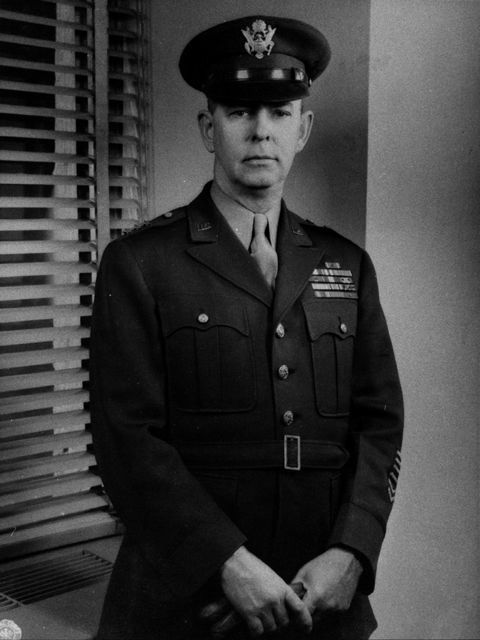 Lieutenant General Raymond Stallings McLain was born in Kentucky and came to Oklahoma in 1907 to work in a real estate office. He began his abstract business in 1910 and partnered with Central Title and Investment Company before becoming its president in 1919 after returning from service in World War I. The company later developed into American First Title and Trust Company and McLain was appointed as its president in 1932. His stellar military career began in 1912 when he enlisted in Company M, First Oklahoma Infantry and rose to the rank of second lieutenant and was called into federal service in 1916 along the Mexican border. He served in World War I and joined the Oklahoma Guard’s 179th Regiment, eventually becoming chief of staff of the 45th and later commander of the 90th Division. He won numerous military medals including the Distinguished Service Cross, the Silver Star and two Bronze Stars.